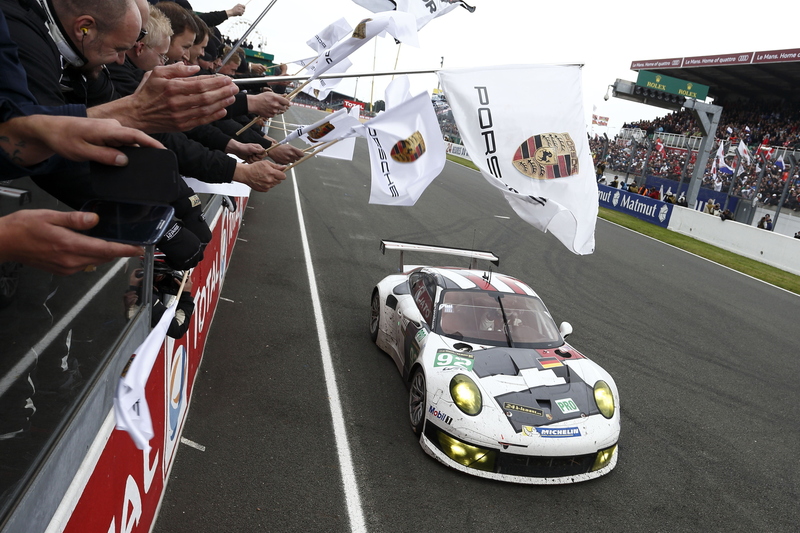 Porsche will once again field two factory 911 RSRs in the GTE-Pro class of the FIA World Endurance Championship. As in 2013, the two cars will carry #91 and #92 however, for 2014 the team name has officially changed to Porsche Team Manthey. Patrick Pilet, who helped the Porsche North America Racing team to Daytona glory, will head up the line up in the #91 Porsche 911 RSR, switching over from the #92 machine he shared last season with Jörg Bergmeister. Taking his place behind the wheel of Porsche 911 RSR #92 is Marco Holzer, a works Porsche driver since 2010. In 2013 Holzer race for Paul Miller Racing in the now defunct ALMS series. Marco Holzer will be part of the driver line-up in the factory-run #92 Porsche 911 RSR. Both the #91 and #92 machines have been granted entries to the prestigious 24 Hours of Le Mans, this year taking place between 14-15 June. The full line-ups for both cars has yet to be announced for either the FIA WEC or Le Mans however, Total 911 will bring you all the news when it breaks. Joining the two factory-entered Porsche 911 RSRs in the GTE ranks (albeit in the GTE-Am class) are Proton Competition and Prospeed, the latter moving across from the European Le Mans Series (ELMS) where they competed with Emmanuel Collard in 2013. Proton Competition are entered in a Porsche 911 RSR, setting them out as one of only two teams worldwide to get their hands on a customer 991 GTE car (the other being Falken in the TUSCC). The German team will once again partner with Patrick Dempsey’s eponymous outfit for June’s Le Mans 24 Hours. Porsche will be hoping to defend their 24 Hours of Le Mans crown with a two works car effort in the French classic. One notable exemption from the GTE-Am class is IMSA Performance Matmut. The French team scored class victory at Le Mans last season, and will be back again with a single car effort this June, however, for the remainder of the season they will focus solely on an ELMS campaign. Once again, the GTE classes will be hugely competitive throughout the 2014 FIA WEC season, with Porsche up against machinery from Aston Martin and Ferrari. At Le Mans, United SportsCar Outfits Corvette Racing and SRT Viper will take the manufacturer count to five. It looks like another season of stunning racing is on the cars, and that is without even factoring in Porsche’s return to the top class of sports car racing, the LMP1 class. The first race takes place at Silverstone on 18-20 April. Total 911 will be there, and so should you. 2014 will see Belgian squad Prospeed Competition tackle a full FIA WEC season.